(5/5) I love Horizon Zero Dawn so much. It came out early last year and I was really bummed when I finished it. And I mean FINISHED IT. I played every side mission, errand, and quest. I upgraded everything. I even worked to get a first place rating in all the hunting challenges just because the game was so dang fun to play. So, when I saw this expansion come out in November, I was overjoyed. 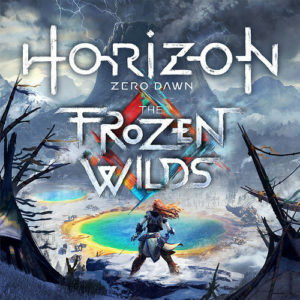 The Frozen Wilds expansion pack opens up a new area in the far, north eastern part of your map and adds a bunch of new missions. It slots right in with the rest of the main story of the game, so you don’t really have to worry about spoilers or anything. It’s like these missions were just a forgotten part of the original. You do get some new weapons. They’re fire/ice/electricity versions of a flamethrower/grenade launcher. I didn’t like them very much because my preferred style of play is best described as “sneaking around, setting traps, and shooting enemies from a mountain top a mile away” and these weapons are better suited for a more in-your-face style. So, I just had to embrace my love of explosions and go with it. There are new critters! And not just robot critters! In terms of robots, the bears are the most notable addition. There are also some control towers, which I thought were lots of fun. In organic critters, there are owls and badgers and goats. So, you can do some more hunting of all sorts. The bears are really tough, BTW. They’re heavily armored and have lots of different kind of attacks. It did take me a minute to re-learn all the controls, but after a little bit of gameplay I got used to it. And the game still contains some of the same annoying limitations. Specifically, Aloy’s (in)ability to climb. You can only climb at specifically marked points. Otherwise, she just falls. This makes no sense to me and because I like to climb up on top of rocks to look around, it can be annoying to be confronted with a rock that is just above the height she can jump, but not over her head, and still not be able to get on top of it. You also still have limited carrying capacity — although you get a 20% expansion at one point in the game. The limited carrying capacity is annoying because the crafting formulas are so complex that you can’t remember what’s actually useful and what’s junk. So, you don’t know what you can disassemble and what you need to stock up on. BOTTOM LINE: Frozen Wilds takes all the fun stuff in the original game and adds a bit more to it. You get a few more weapons. You get some new skills. There are a couple of new challenge formats. And even though I was eventually 20 levels higher than the highest quest level, it was still a very enjoyable challenge. SPOILERS! 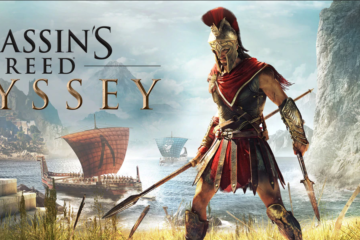 I just finished playing the main storyline on AS:Odyssey and all the side quests I ever intend to complete. I'm done. These are my final thoughts on the game. I've only just started playing! 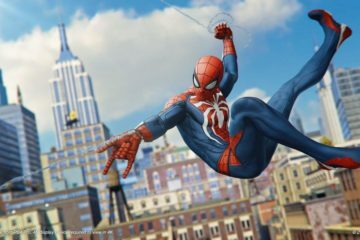 But because I think it will be about fourteen years before I'm done playing this game, I figured I'd go ahead and write a review based on my initial impressions. This game is frustratingly expansive and overwhelmingly detailed. It's a long, slow burn with many of the best parts of past AC installments like sailing, hunting, and serial murder. OMG OMG OMG OMG SO FUN! This is a great first game in what I hope will prove to be a really brilliant franchise a la the Arkham Knight series of games.